One month ago I had a meeting with two American visitors that wished to know more about the history of payments here in the Netherlands. And as they had just arrived and had no time for the Walking tour on the history of Dutch payments we discussed those topics over a cup of coffee and lunch. And of course we came to discuss the Why-question. Why is it that the Dutch seem to be more keen on cooperating in the area of payments than other countries? Of course there are a number of historical reasons. And one might argue that the Dutch are of a more cooperative nature given that they have to battle the water cooperatively, but it's hard to substantiate this. 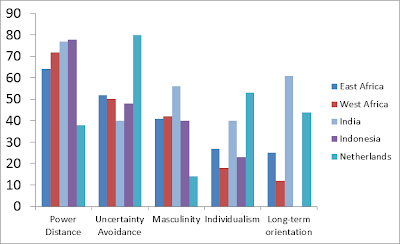 But then I realized that Geert Hofstede had done quite some work differences between cultures. 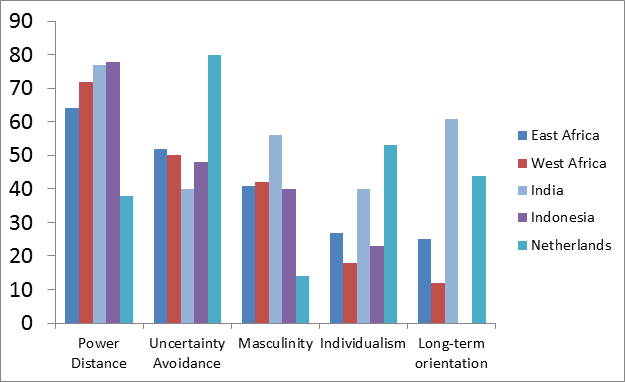 And the funny thing is: if you chart his data, you can indeed see that the Dutch score high on uncertainty avoidance, long term orientation and low on masculinity and power distance. So there you have it. The reflection of our cultural mindset that stimulates us to choose cooperative solutions when developing and organizing payment methods and systems. This is not to say that everything is and was collective here in the Netherlands. But in the long run there is a strong tendency to cooperate on standards.